NMU Best Buddies members with Special Olympics athletes. 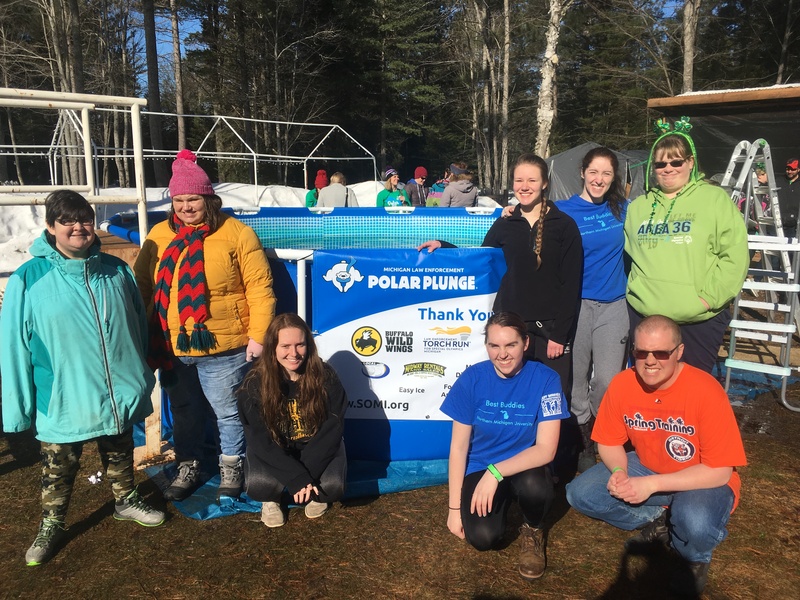 NMU's Best Buddies chapter participated in Sunday's local Polar Plunge for Special Olympics, which raised $13,000. Best Buddies International is a nonprofit dedicated to establishing a global volunteer movement that creates opportunities for one-to-one friendships, integrated employment and leadership development for people with intellectual and developmental disabilities (IDD). The NMU Best Buddies team consisted of chapter members and Special Olympics athletes. Zoology major Seton Trost also took the plunge. She helped to establish the NMU chapter. Sam Bradbury of Marquette is a Special Olympics athlete who joined the Best Buddies team and benefits from the program. He raised about $500 of the team's total contribution to the cause, which exceeded $700. 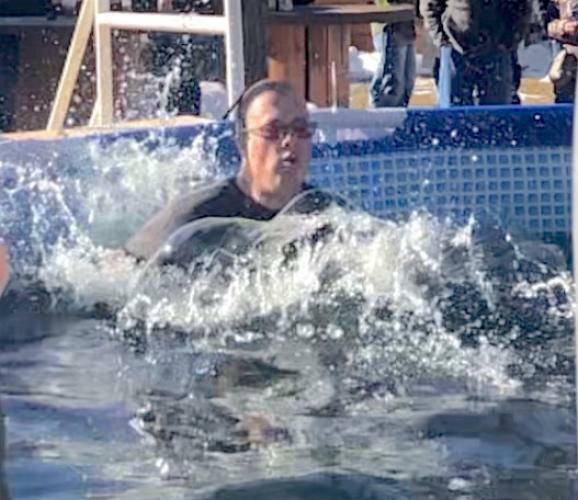 Sunday marked Bradbury's 10th polar plunge. He explained what he enjoys about the annual event. 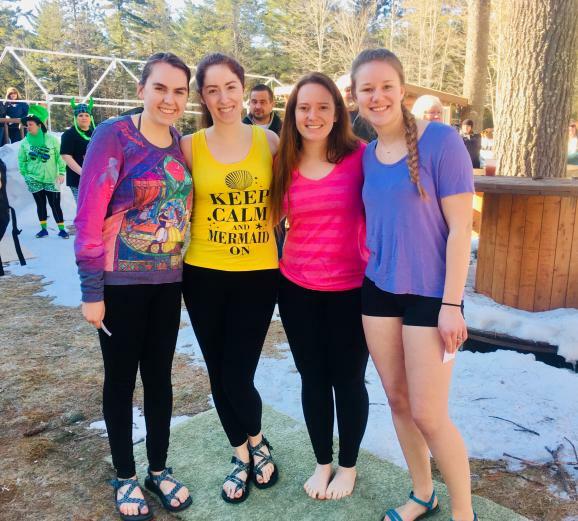 NMU was represented at the polar plunge in other ways beyond Best Buddies. Social work major Rachel Gerbig volunteers regularly for Special Olympics. Det. Ken Love of NMU Public Safety volunteered to serve as a judge at the event. He helped to determine the winners for individual and team costumes, as well as best plunge. Love also coordinates the local Law Enforcement Torch Run/Walk for Special Olympics, held on NMU's campus. It is one of several in Michigan that generate financial support for more than 23,000 athletes who compete in Special Olympics in the state. Best Buddies team members before their plunge: (from left) Seton Trost, Emma Goebel, Victoria Avis and Annika Nelson. Sam Bradbury makes a splash in his 10th polar plunge.